Every year in my classes, whatever the theme I’m doing, I always ensure we have a bonfire night week. We may sing a song or two that has a firework connection but the firework wonder is delivered through the listening to a piece of music. Each child is given a fibre optic wand to hold and move like a sparkler; they are told to hold it carefully so that we don’t hurt others. This activity really excites the children: they love the main lights going out so that they can watch the colours as they move their fibre optic wands. Don’t worry if you don’t have fibre optic wands. If you have any little lights, torches, a projector... put them on. Turn the main lights out, put the music on and let the children move to the music. The children will need you to model moving: try going up and down, round and round… let your imagination run free! 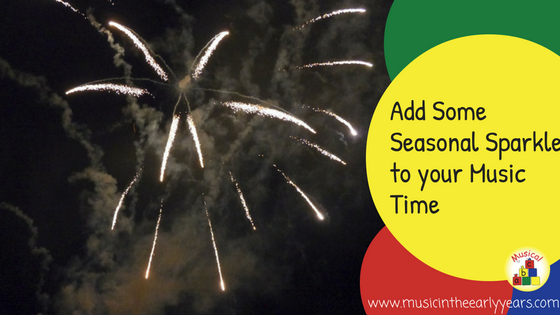 Here are a variety of pieces of music (different genres) that have been written to sound like fireworks. Click on the title name and you will be able to listen (affiliates links for your convenience).